A new report and video from BetterDigestion.org titled Top Three Ways to Prevent Diverticulitis Attacks details how people who suffer from the disease can help reduce the frequency of attacks by following three tips. The general idea is to increase water intake as you increase fiber intake. Cardiovascular exercises like walking, jogging, running and cycling are all good ways to keep the bowels moving properly. Diverticulitis is the result of feces getting caught in the diverticula or pouches that reside in the large intestine of many individuals. When that happens, the pain and discomfort can be severe. A lot of people find help for this painful disorder by following three tips. Eating a diet rich in fiber is key to maintaining healthy digestion. Fresh fruits and veggies aren’t the only sources of fiber, but they are a great place to start. Also switching to whole grain cereals, rice, bread and pasta are great ways to get more fiber. It’s also important to drink plenty of water throughout the day to prevent constipation and dehydration. Exercise can also help. Move more to maintain overall health. Cardio workouts like jumping rope, rowing or dancing are just a few ways to prevent constipation and other digestive disorders like diverticulitis. According to Nigel Wall of BetterDigestion.org, "The general idea is to increase water intake as you increase fiber intake. Additionally, cardiovascular or aerobic exercises like walking, jogging, running and cycling are all good ways to keep the bowels moving properly." The complete Top Three Ways to Prevent Diverticulitis Attacks article and video are available at http://betterdigestion.org/prevent-diverticulitis/. About: BetterDigestion.org is a new website that was launched in March of 2013 in order to provide premier content for healthy digestion and overall health, specifically by controlling hormones and bacteria found naturally in the body. 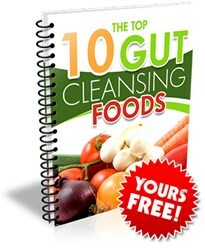 Recent topics have included Healthy Digestion for Women, Cheat Foods for Fat Loss, Good Bacteria for Food, Hormones for Weight Control, Fat Blasting Foods, Digestive Disorders: Probiotics for Gut Health, as well as several other highly informative articles to help people understand the connection between digestion and overall health.